It was only up until just recently that a straight line divided the DJ world into strictly analogue and strictly digital. However, today more and more DJs are making use of the advantages of both formats – not just because digital media are a great deal less heavy than their analogue counterparts, but also because they are very convenient to work with. Yet, with the wonderful new diversity of setup options, one tiny problem arises: how to best stow away and carry around the holy trinity of music storage formats – the record, the disc, and the notebook computer? After all, who wants to haul three different bags to a club or, even worse, have to check in three different bags at the airport? 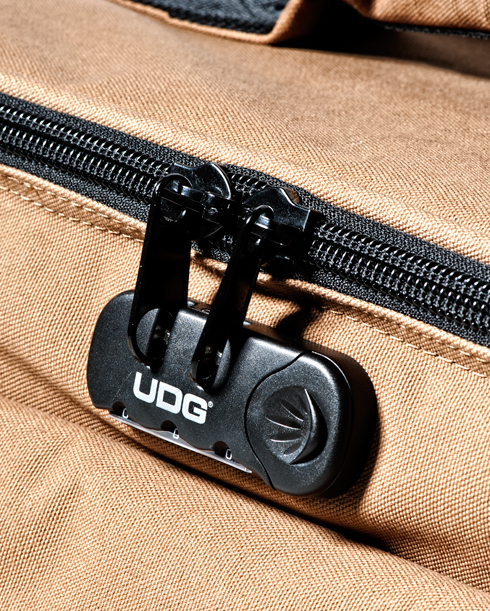 Carhartt and UDG have now come up with a great all-in-one solution that will help you avoid all this hassle. It is a compact DJ bag that can hold your laptop, your vinyl collection, and your CDs, all at the same time. The Carhartt X UDG DJ Bag comes in one of the toughest fabrics available: Cotton „Duck“ Canvas. It has been the characteristic material of Carhartt clothes for 120 years. The term „duck“ is the English derivation of the Dutch word doek, which originally meant linen canvas. This bag is made from 100% heavyweight cotton canvas and gains in character with every day of use. You want your records and technical gear in safe custody? Well, you don’t have to worry about this with your Carhartt X UDG DJ Bag since it comes with a integrated combination lock. The three digit lock can be easily customized to your personal combination. 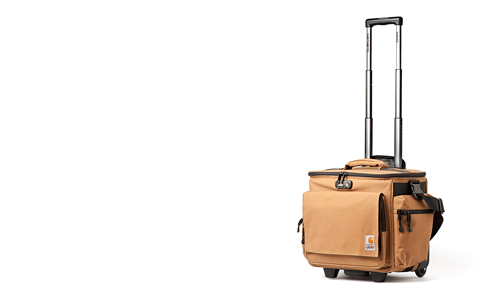 The days of heavy lifting your DJ bag belong to the past with the all new 3-stage internal trolley system that is featured on the Carhartt X UDG DJ Bag. 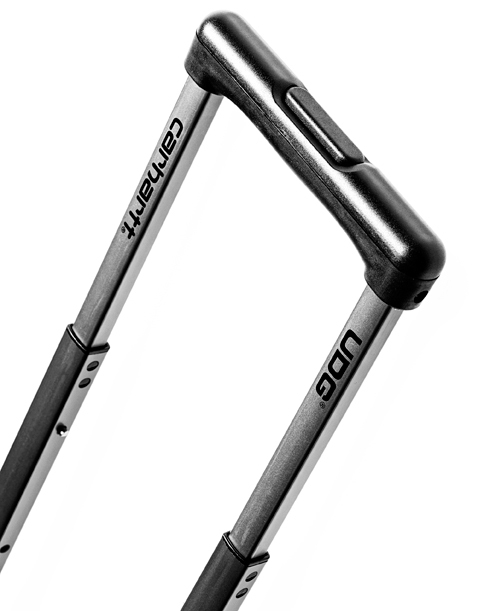 The two telescope bars handled by a soft rubber grip disappear in the bags back, when not in use. Two smooth rolling wheels with precision bearings ensure that you don’t have to fear the world’s concrete and marble pavements. 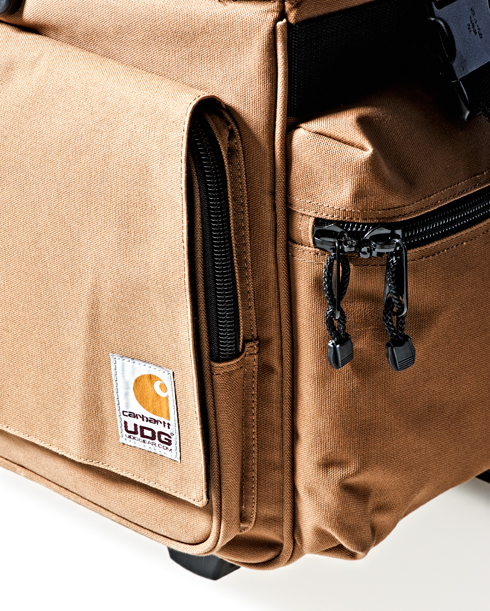 Move over to our Music-Blog for more information or get our latest Carhartt Brand Book N°4 in order to find out what some of the world’s DJ elite says about the Carhartt X UDG Bag performance.